Have you ever had that vacation that you knew you should have booked longer? 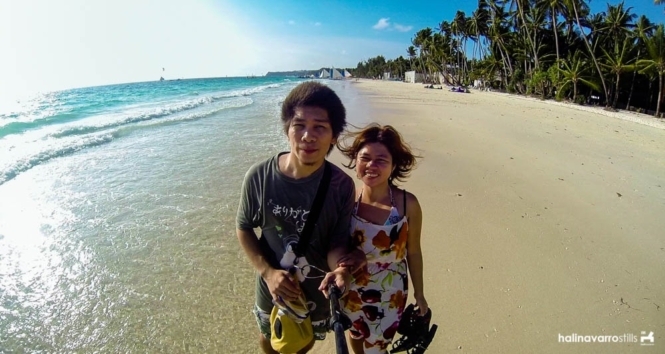 For us, that was our recent sabbatical: a 4-day vacation in the island of Panay. As I was saying on our last staycation in an island in Laguna, I’m currently gearing more towards relaxing trips — lounging on a lakeside, a nice beach or a comfortable staycation. Maybe it’s about getting old or just wanting to unwind after weeks of craziness at the office. True to this, on our next flight to Kalibo I didn’t do the usual thorough research and planning. 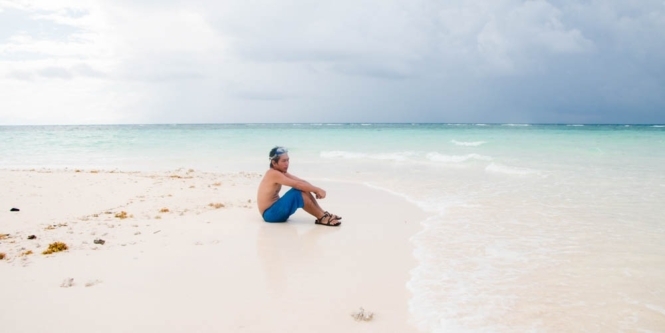 I hadn’t made up my mind whether we would stay in Boracay, head directly to Carabao Island and perhaps rent a boat from there to Tablas Island or check out Malalison Island in Antique. Both Carabao Island and Malalison Island are 2-3 hours away from Kalibo airport, so they’re good alternatives. In the end, we ended up visiting Boracay, Carabao Island in Romblon and Malalison and Seco islands in Antique. It was still essentially a beach vacation and we were far more relax compared to our previous trips, but boy, we realized that we should have planned to stay for about a week. Here’s how our 4-day Panay Island itinerary went. We traveled for more than 2 hours from Kalibo to the leading beach party destination of the Philippines — Boracay. Boracay is such a nice surprise, especially after years of hearing people complaining how it’s too noisy, too crowded, too commercialized. We stayed at Station 3, where it’s quiet. There were few tourists, the beach was a wonderful blue-green and at the far-off distance we could see a handful of people parasailing. We had an early dinner at Treehouse Bar and Restaurant, at the topmost floor where we sat on huge pillows, barefoot, while drinking fresh fruit shake and looking at the famous orange shades of the Boracay sunset. Sounds lovely? You bet. Planning to visit Boracay soon? Check out the lowest prices of accommodations here. Carabao Island is, as of this writing, still a secret spot for tourists wanting to escape the party noise in Boracay. It’s about an hour of boat ride away from Caticlan port, the jump-off point to Boracay Island. We caught the early-morning passenger boat to Carabao Island and spent the afternoon dipping on the cool, clear water of its beach. Later in the afternoon, we rode habal-habals for a land tour. Going through rough roads and bumpy mountain trails, we were able to visit a hill overlooking Boracay Island, a cliff-jumping area alongside an underwater tunnel and lastly another cave that is home to a large number of bats. We spent the night having dinner with a friend who also happened to be vacationing in the island. At this point, Hali had expressed wanting to stay another day in Carabao Island, and though this was tempting, I’d already made prior arrangement to a boat going to Malalison Island and Seco Island in Antique. So we went back to Caticlan and hopped on a bus going to Culasi, about 3 hours away in all. There’s a small community thriving in Malalison island. 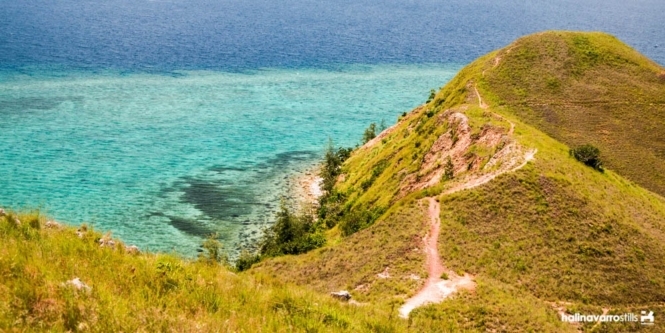 Though there are beach resorts in the area, its main attraction is its set of rolling hills. We trekked the hills in the afternoon. What I enjoyed most about this is the hill top that overlooks the residential houses on the left and the vast sea on the other side, with underwater corals that looked like sunken islands from above. Hali and I, with our boatmen, set off to Seco Island before dawn to take advantage of the calm waves in those ungodly hours. On the way, we saw bioluminescence, sailed through a sea storm and were greeted by flipping dolphins when we were approaching as we were approaching Seco Island. Seco Island is under the municipality of Tibiao. The island is flanked by seaweeds on both sides, but at the end of the island the beach has low, clear waters constantly met with waves from the open sea. We swam, took pictures, ate a meal of freshly cooked fish and then rushed back to Kalibo. We arrived just 5 minutes before the boarding time. Didn’t I say we should have booked longer? The thing about not having an itinerary is that it made out trip more laid back, though it also meant that we were unprepared for a couple of things. One, we didn’t really expect to enjoy these places this much. Boracay turned out to be a nice surprise. I’d consider it merely as a layover on our trip to Carabao Island, and had we known it has that relaxing tropical vibe during off-peak season, we’d have stayed at least 3-4 days. Carabao Island demands another day for its clear stretch of beach. Meanwhile, we were content spending a night in Malalison Island. Seco Island, with its isolation in the open sea also requires at least a full day — or more, it depends on your need to be rejuvenated. Second, we didn’t have a prepared list of schedules of public vehicles. After spending the whole morning in Seco Island and arriving past lunch time in Culasi, we learned that the bus en route to Kalibo wouldn’t be arriving until after an hour. We wasted precious minutes waiting and asking the guy manning the bus terminal about alternatives, who had ominously told us we wouldn’t make it to our flight, until a local helpfully told us to ride the next bus to Caticlan instead and get off at Nabas crossing, where we can ride vans or jeepneys to Kalibo. Not knowing the travel schedules beforehand isn’t really a big deal, but we’ll probably take note of necessary schedules on the day of our flight back home next time. Overall, our 4 days in Panay Island vacation left us with so much good memories considering the short time we’ve stayed. At the same time, it doesn’t seem enough. It’s like it’s already calling us to go back. 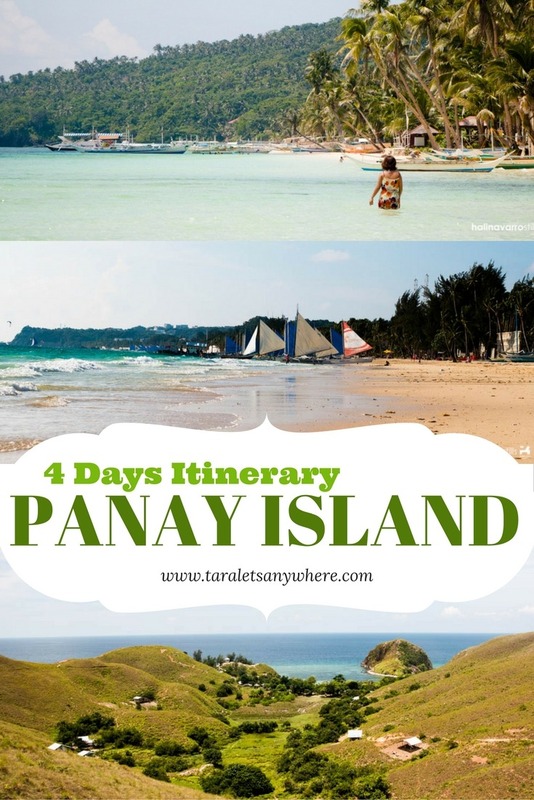 If you like this post on our Panay Island itinerary, feel free to share it in Pinterest! hi, i would like to ask if there is a boat from culasi, antique going straight to seco island? Wow! Nice post. It’s been months that I research for itineraries for our upcoming Panay island trip. Hope you don’t mind if we will copy your itinerary. Btw, what camera did you used for the video? I think sometimes it’s good to go on a vacation unplanned. We get to relax and also stumble upon new places. Anyway, it’s my first time hearing of Carabao island. Next time I’ll try visiting Romblon. I’ll try to bring my co-blogger if possible. Carabao Island is very close to Caticlan but largely remains unnoticed. 🙂 I think it’s included in island hopping tours from Boracay but then again it is mostly ignored. 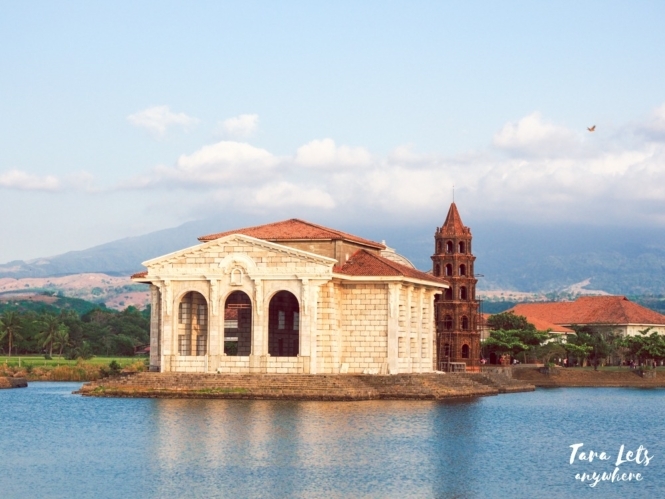 Thanks for sharing your trip to Panay! The photos are jaw-dropping! The Philippines is really a paradise to behold. I haven’t explored much of the must-see islands of the country, but I’m really hoping to do so in the near future. I also appreciate you sharing your itinerary. Did you not make use of travel tours or agencies? I’m wondering if that would make the trip easier…. But you seem already familiar with the places, so there wasn’t too much fuss on the itinerary and planning, as I understand it. Aaaahh I’m super jealous, hoping I could get some sun and beach and cold drinks.. But that seems impossible, seeing that winter is coming in cold Scandinavia..
No, we didn’t. 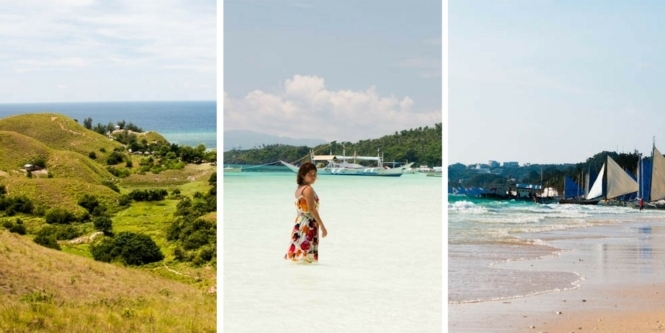 It’s easy to backpack around the Philippines and it’s also cheaper. We only get packaged tours if it’s more convenient. 🙂 Well, I hope you enjoy the winter in your home! Grabe, hectic din iyan pero travelling at sea is actually nice kung vacation. I remember a time, technical diving sa Boracay and finally getting off the water sa Carabao. Yeah, it’s far. So nice to see the white sand beach of Boracay even if photos na lang. ewan pero now feeling hindi kapaniwala-wala na I used to live on that island.